This week’s episode marks the third time that the “Hoser Heavy Metal Twins” have taken the reigns of the Decibel Geek Podcast. Once again Wally “Wallygator” Norton and Rich “The Meister” Dillon are back with a new batch of Canadian homegrown hard rock and heavy metal. Joining the Decibel Geek website writers turned hosts are two very special guests guitarist Greg Fraser and bassist Stevie Skreebs from Canadian bands Brighton Rock and Fraze Gang. 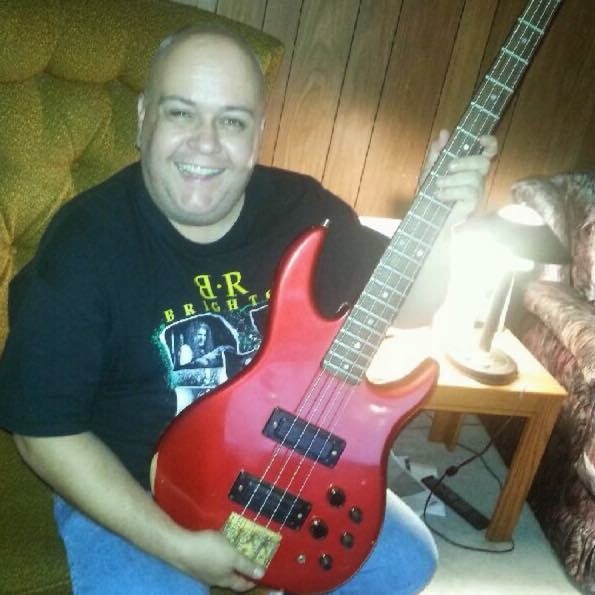 “Roadtrip!” was called, as the Decibel Geek podcast headed out to Niagara Falls Canada to the home of bassist Stevie Skreebs. Equipped with some Iron Maiden Trooper beer, we set up shop in the very basement where Brighton Rock often rehearse and where Fraze Gang came to life. For the next hour the guys enjoyed some laughs, some beers and most importantly some great Canadian music. Also touched on throughout the show, the formation of Brighton Rock, playing a historic show with Triumph, how they came to be part of Mitch Lafon’s KISS tribute album, their interpretation of “Creatures of the Night” and more. They also chime in on Gene Simmon’s “rock is dead” quote and of course they discussed the progress on the upcoming and eagerly anticipated new Brighton Rock record that is in the works. The Decibel Geeks can tell you…..it’s gonna be fantastic! I have written about growing up a Canadian metal fan in the 80’s many times now. We didn’t get MTV north of the border, instead we got the Canadian version called Much Music. Much played all the big rock videos of the day. Crue, Def Leppard and Whitesnake were there, of course, but right along with them were plenty of great Canadian rock, Coney Hatch, the KiLLeR DWaRfS and Brighton Rock among the best. They were every bit the “rock gods” that Sixx, Elliot and Coverdale were. Of course they were, they were all over our televisions and radio airwaves. It almost seems strange to me that these great Canadian bands were not necessarily getting the same exposure south of the border. Brighton Rock in the 80’s burned quite a trail, released three incredible albums produced by Michael Wagener, Jack Richardson and Toby Wright respectively. They earned Gold records, won Juno awards and toured the country relentlessly. Over the years I was privileged enough to catch Brighton Rock live probably a dozen or more times. From various clubs in Hamilton (Dallas, Bannisters, etc. ), my college pub on frosh week, opening for Honeymoon Suite at COPPS Coliseum and opening for Triumph at Canada’s Wonderland. If you had told the 18 year old me that I would be invited to sit around and chat with Greg and Stevie, at Stevie’s house no less, I might have actually peed myself. Fortunately as a mature adult now (shut up Rich! ), I was able to contain my bladder and enjoy the experience. After the recording, the conversation continued on and as hinted on the show we got a sneak peak at one of the new songs slated for the new Brighton Rock record. A thick heavy riff sets off a great new tune that I can’t wait to add to my music collection, hurry up fellas! Stevie even let me tinker with his bass as I suddenly went fanboy and almost did a Wayne’s World “We’re not worthy!” You can see how miserable I am in the photo. Thanksgiving is upon us once again and it’s time for Chris and Aaron’s yearly week off. These two faithfully deliver an inciteful, humorous, and entertaining podcast each and every week, never having missed one for a total of 162 episodes! In what has become a yearly tradition in itself, The Hoser Heavy Metal Twins, Canadians Wally “Wallygator” Norton and Rich “The Meister” Dillon are back for a third year of stepping in to bring you this week’s episode. I wanted to do something different for our third year attempting to remotely fill the big shoes of the regular Decibel Geek hosts and basically give the faithful listeners something better than just the two of us “Hosers”. I didn’t know quite what, but almost immediately after I expressed this sentiment to Wally he returned with the suggestion that soon became a reality. Joining the Decibel Geek website writers turned hosts for this episode are two very special guests, guitarist Greg Fraser and bassist Stevie Skreebs from the Canadian bands Brighton Rock and Fraze Gang. till exciting to sit down and talk with the boys in this revered space. As Wally eluded to the fact that 18 year old him may have wet himself, 41 year old me was near that (well I did drink a fair amount of Skreebs’ beer!). With the traditional “Keep it Canadian” theme, the four play some great Canadian music, some Brighton Rock/Fraze Gang, chat about bands, music, concert memories and of course drink some beer. Hopefully you find it as interesting to listen to as we did fun in recording it.